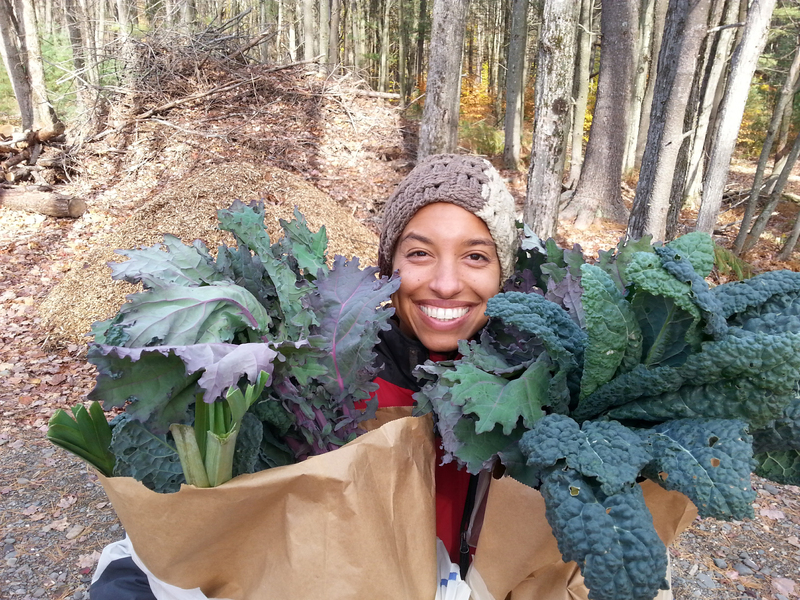 Hyde Park, NY – Educator, farmer, and food justice activist Leah Penniman returns to The Culinary Institute of America for a lecture on Wednesday, November 14 at 11 a.m. Titled “Farming While Black,” the discussion is based on her new book of the same name, just published on October 31. The public is invited to attend the talk, which will be held in the Ecolab Theatre in the Admissions Building on the CIA campus in Hyde Park, NY. The CIA is one of the first stops on her new book tour, and a book signing will be held after the presentation. At Soul Fire Farm in Grafton, NY, Ms. Penniman reconnects marginalized communities to the land and upholds our responsibility to steward the earth that nourishes us. As a core member of the Freedom Food Alliance, she cultivates food for incarcerated people and their loved ones. She also runs an on-farm program that is an alternative to incarceration for area teens and a training program for aspiring black and Latinx activist-farmers. In addition, Ms. Penniman coordinates an ongoing reforestation and sustainability project with farmers in Haiti, her ancestral homeland. Her work as a farmer and educator has been recognized nationally by the Fulbright Distinguished Awards in Teaching Program, Presidential Award for Science Teaching, YES! magazine, the Teaching Channel, Food First, New Technology Network, College Board, National Science Teachers Association, Edutopia, Center for Whole Communities, and Rethinking Schools. Ms. Penniman holds an MA in Science Education and BA in Environmental Science and International Development from Clark University in Worcester, MA. Ms. Penniman’s last visit to the CIA, in February 2016, looked at the intersection of race and the food system. It was a well-received and thought-provoking session and this one promises to be as well.